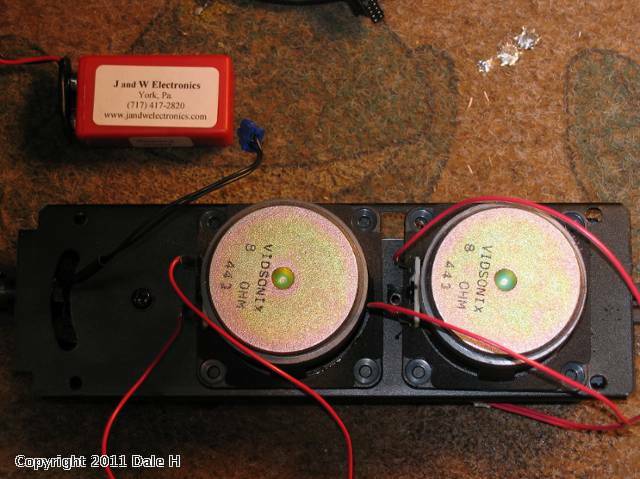 (Guest) J&C Studios O Gauge Archive Dale H PS1/PS2/other speaker replacement. A lot of manufacturer supplied speakers are not the best and require replacement either because they are blown or the sound produced is not optimal as original speakers may lack frequency response. . To replace a stock speaker impedance must be matched. Stock speakers can be 4 ohm,8 ohm or 16 ohm. Impedance is usually stamped on the back of the speaker ,if not it can be measured with an ohm meter. This impedance can be acquired by replacing one speaker with one with the same impedance or 2 or more speakers wired to acquire that impedance. For example 2, 8 ohm in parallel gives 4 ohm impedance. 2, 4 ohm in series (+ to - ) gives 8 ohms impedance. Digital Dynamics offers 8 ohm replacements for about $6 each which are excellent. Also Madison Sound offers an excellent 4 ohm one for about $14 which is about the same size as the DD one pictured below.. Frequency response charts are on both websites. 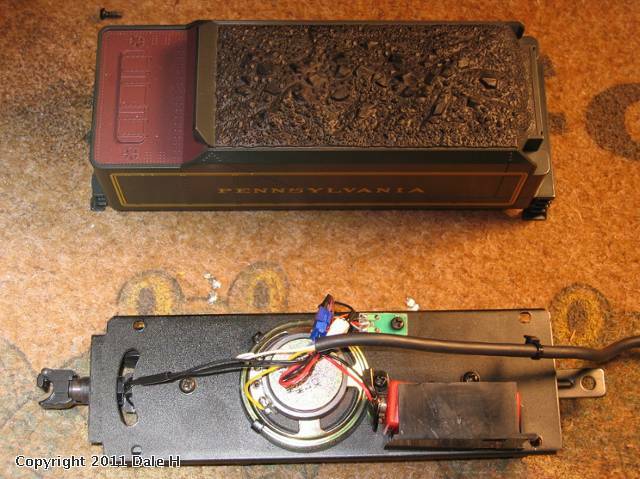 Below is an early PS2 RK steam tender with the original speaker. The stock speaker is a very anemic 16 ohm, 1/4 watt. It will be replaced with 2 Digital Dynamic 8 ohm speakers wired in series to get 16 ohms impedance. Here is a comparison between the stock speaker and the DD replacements. Components must be rearranged to make room. 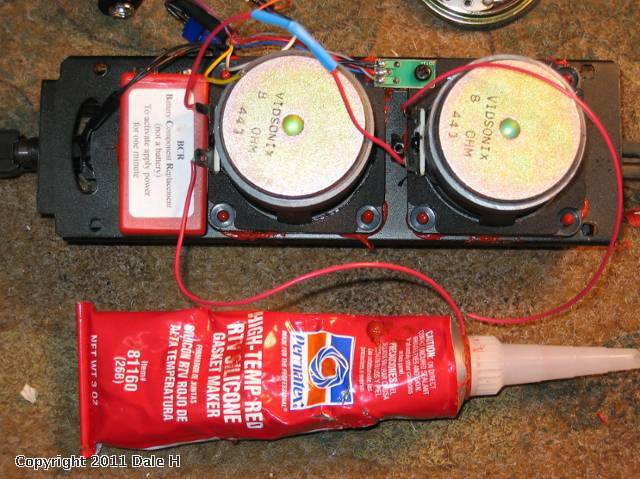 The sound adjustment pot is placed back and the BCR is relocated and glued down. The speakers glued down and are wired in series. Connections are made with solder and shrink tubing. After the replacement low end base sounds are noticeably improved. However early PS2 is not up to RS4 for sound fidelity. 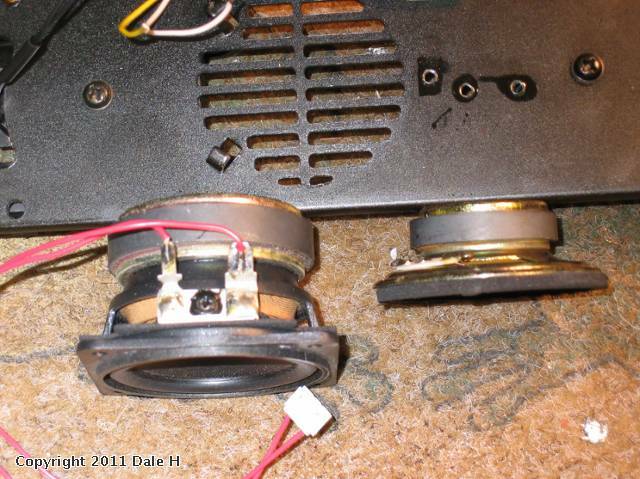 Diesel engines may require cutting to fit in a larger speaker,they may not fit at all or you may consider relocating speakers to a dummy unit and running a 2 wire harness. Thank you very much for spending the time to explain this process. Is there anything that can be done if you can only fit 1 speaker? my sons 6-8-6 can fit 2 speakers, but my wifes 4-6-2 can only fit one , also p/n 830970 is now a 4ohm speaker at madison. If you go to the general Madison sound site they also have 8 ohm speakers. 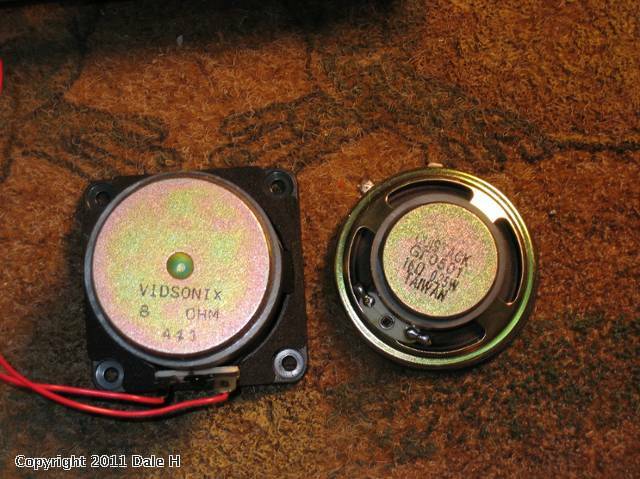 A good quality single 16 ohm speaker may be harder to get but I will look around.